Just about 6 months ago, I got a phone call from Peggy Rajski inquiring about Finnovation's 3D printing and rapid prototyping ability. 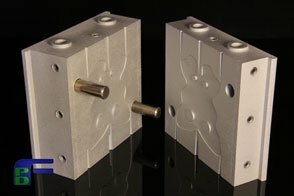 Peggy needed assistance in creating 3D CAD models of her designs to be used for 3D Printed prototypes as well as for use in manufacturing via injection molding for mass production. A Producer of all kinds including movies, film, and consumer products, Peggy's work is quite impressive. She won an Oscar for Best Short Film in 1994 for the film "Trevor." I would be surprised if you have not seen Peggy's work on the silver screen, or even in your own movie collection. 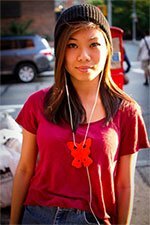 When the designs were finalized, Peggy started a fundraising campaign on Indiegogo. Indiegogo is a crowd funding website that helps inventors of all kinds raise capital for product development ventures. 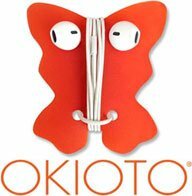 The OKIOTO Butterfly design is the first of many. Like" OKIOTO on Facebook to see the newest designs and "untangle your life!" Whether lost or run over/crushed by my office chair, I honestly go through headphone like paper towels. OKIOTO is a solid solution to keeping your headphones easily accessible and ready to answer your calls before your voicemail beats you to it. Do you have a product idea? Contact Finnovation Product Development to inquire about how the latest in CAD, 3D printing and Rapid Prototyping will get your ideas to market fast! Located in Rochester NY, Finnovation Product Development offers 24 hour 3D printing and additive manufacturing solutions to business' in Buffalo and Syracuse New York.